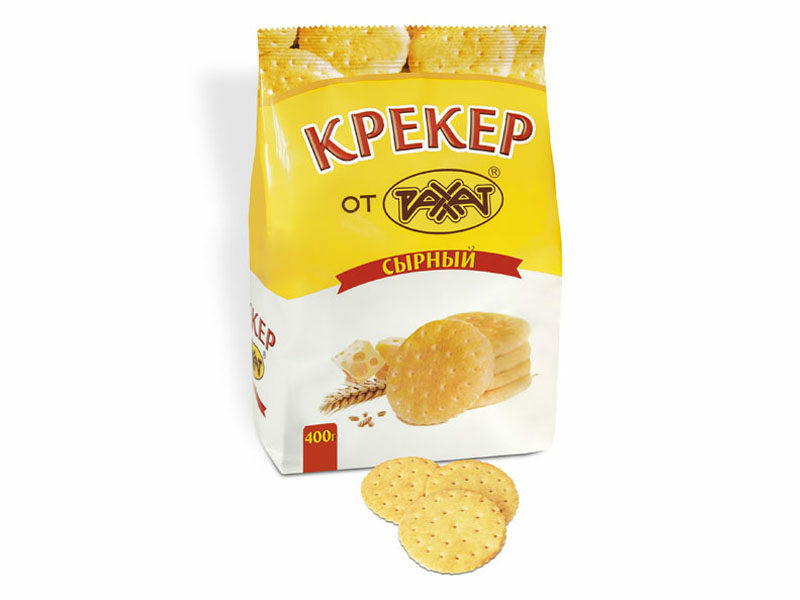 The cracker made of first grade flour completed with cheese extract. The round-shaped crackers. Ingredients: fortified wheat flour, vegetable fats (palm oil), corn starch, malt extract, whey solids, egg powder, sugar, aerating agents: ammonium carbonate, baking soda; common salt, emulsifier – soy lecithin; antioxidant – NovaSOL E (tocopherol E306); aromatizers are natural and identical to natural; enzyme (protease).